Post by Daniel Villar-Onrubia, originally published on the 29th of March 2019 on the blog of the Open Education Working Group. This month [March 2019] it is 30 years (CERN 2019) since Sir Tim Berners-Lee came up with his idea for an ‘information management system’ that effectively set the ground for the hyper-connected world that a considerable part of the global population now live in (thought still not truely worldwide). Originally conceived to facilitate knowledge sharing across scholarly organisations, the World Wide Web (WWW) has quickly permeated all areas of everyday life. Building on the global infrastructure offered by the Internet, three decades ago Berners-Lee- created a set of protocols and standards that made it possible to easily share and retrieve information by means of a network of hyper-linked documents (CERN n.d.). The HyperText Markup Language (HTML) and the Hypertext Transfer Protocol (HTTP), along with a system of resource identifiers, are the main building blocks of what quickly became arguably the most open medium for distant communication humanity has ever seen. The World Wide Web is often referred as the Open Web to emphasise how opennsess is intrinsic to its underpinning principles. First, it was originally conceived as a system to share information publicly, making it available to anyone with access to the Internet for free, unlike closed private network systems such as CompuServe. Second, the Web prompted a new media landscape where consumers of content had also the possibility to become producers, so the restrictions of one-to-many and one-to-one ways of communicating could be subverted to, at least potentially, enable more participatory cultures. Behrenshausen, B. (2017). What is the open web? 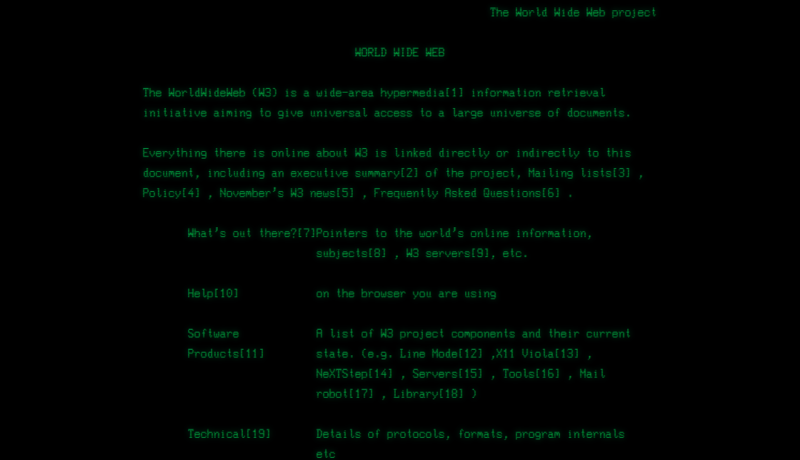 Web Foundation. (2018). The Case #ForTheWeb. Retrieved from Web Foundation website. The cited URLs have been saved on the Internet Archive Wayback Machine to make sure they can be consulted in the future even in case the original sources are no longer available at some point.